Scientists at the Smell and Taste Treatment and Research Foundation in Chicago found that when you lie, chemicals known as catecholamines are released causing tissue inside the nose to swell. They used special imaging cameras to monitor blood flow in the body to show that lying causes an increase in blood pressure. This technology indicated that the human nose actually expands with blood during lying and is known as ‘The Pinocchio Effect’. The effect can induce mild irritation and a liar may rub their nose to satisfy the physical itch. In English medieval courts, truth was tested by ordeals of fire and water, on the basis a truthful person would be protected by God. Someone suspected of lying would have to carry a red-hot iron bar for nine paces. Alternatively he could opt to walk across nine red-hot ploughshares. Either way, if the suspect was burned then this was proof that he was lying and so could be promptly hung. Other courts went in for trial by water. In the ultimate ‘no-win’ situation, the person accused of lying was bound and thrown into a pond. If the accused sank this showed he was innocent but he might well drown anyway. If he floated this was taken as proof that he was lying and he would be hanged. By the 1600s the idea arose that the truth of any statement could be arrived at by the means of detailed questioning and the application of scientific and logical reasoning to what was being said. Modern legal conventions of cross-examination and the presumption that somebody is telling the truth unless it can be proved otherwise ‘beyond reasonable doubt’ date from this time. The philosopher Descartes wrote “The power of distinguishing the true from the false, which is properly speaking what is called good sense or reason, is by nature equal in all men”. Trying to work out whether somebody was lying was a matter of questioning, debate and the clash between different points of view based on the gathering and analysis of evidence. In 1730, British novelist Daniel Defoe wrote an essay entitled "An Effectual Scheme for the Immediate Preventing of Street Robberies and Suppressing all Other Disorders of the Night", wherein he recommended that taking the pulse of a suspicious fellow was a practical, effective and humane method for distinguishing truthfulness from lying. Defoe’s was an early and insightful suggestion to employ medical science in the fight against crime. In 1878, science first came to the aid of the truth seeker through the research of Italian physiologist Angelo Mosso. Mosso used an instrument called a plethysmograph in his research on emotion and fear in subjects undergoing questioning and he studied the effects of these variables on their cardiovascular and respiratory activity. Mosso studied blood circulation and breathing patterns and how these changed under certain stimuli. The use of the plethysmograph revealed periodic undulations or waves in a subject’s blood pressure caused by the respiratory cycle in response to certain stimuli. He was the first scientist to report on experiments in which he observed that a person’s breathing pattern changed under certain stimuli, and that this change, in turn, caused variations in their blood pressure and pulse rate. Although not for the purpose of detecting deception, Sir James Mackenzie, M.D., constructed the clinical polygraph in 1892, an instrument to be used for medical examinations with the capability to simultaneously record undulated line tracings of the vascular pulses (radial, venous and arterial), by way of a stylus onto a revolving drum of smoked paper. Until the end of the 19th century, no measuring device for the detection of deception had ever been used. The first use of a scientific instrument designed to measure physiological responses for this purpose came in 1895 when Italian physician, psychiatrist and pioneer criminologist Cesare Lombroso modified an existing instrument called a hydrosphygmograph and used this modified device in his experiments to measure the physiological changes that occurred in a crime suspect’s blood pressure and pulse rate during a police interrogation. 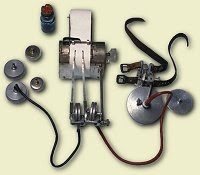 Notably, Lombroso’s early device for measuring pulse rate and blood pressure is similar to the cardiosphygmograph component of the contemporary polygraph. 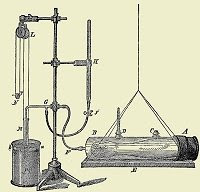 Although Cesare Lombroso did not invent the hydrosphygmograph, he is accorded the distinction of being the first person to have used the instrument successfully as a means for determining truthfulness from deception in crime suspects. On several occasions, he used the hydrosphygmograph in actual cases to assist the police in the identification of criminals. In 1906, Sir James Mackenzie refined his clinical polygraph of 1892 when he devised the clinical ink polygraph with the help of Lancashire watchmaker, Sebastian Shaw. This instrument used a clockwork mechanism for the paper-rolling and time-marker movements and it produced ink recordings of physiological functions that were easier to acquire and to interpret. Interestingly, it has been written that the modern polygraph is really a modification of Dr. Mackenzie’s clinical ink polygraph. In 1914, Italian psychologist Vittorio Benussi discovered a method for calculating the quotient of the inhalation to exhalation time as a means of verifying the truth and detecting deception in a subject. Using a pneumograph, a device that recorded a subject’s breathing patterns, Benussi conducted experiments regarding the respiratory symptoms of lying. He concluded that lying caused an emotional change within a subject that resulted in detectable respiratory changes that were indicative of deception. Dr. William Moulton Marston, an American attorney and psychologist, is credited with inventing an early form of the lie detector when, in 1915, he developed the discontinuous systolic blood pressure test which would later become one component of the modern polygraph. Dr. Marston’s technique used a standard blood pressure cuff and a stethoscope to take intermittent systolic blood pressure readings of a suspect during questioning for the purpose of detecting deception. In 1921, John A. Larson, a Canadian psychologist employed by the Berkeley Police Department, in California, developed what many consider to be the original lie detector when he added the item of respiration rate to that of blood pressure. He named his instrument the polygraph, a word derived from the Greek language meaning many writings, since it could read several physiological responses at the same time and document these responses on a revolving drum of smoked paper. Using his polygraph, John A. Larson was the first person to continually and simultaneously measure changes in a subject’s pulse rate, blood pressure and respiratory rate during an interrogation. His polygraph was used extensively, and with much success, in criminal investigations. In 1925, Leonarde Keeler, who had gained firsthand experience in polygraph interrogations as a result of working with John A. Larson at the Berkeley Police Department, worked to devise a polygraph that used inked pens for recording the relative changes in a subject’s blood pressure, pulse rate and respiratory patterns, thus eliminating the need for smoking the paper and then preserving it with shellac. 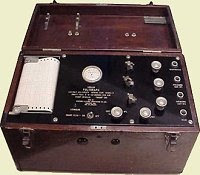 In 1926, the Keeler Polygraph came on the market as the new and improved lie detector, an enhanced version of John A. Larson’s polygraph. Later, in 1938, Keeler refined the polygraph when he added a further physiological measuring component. The psycho-galvanometer, a component that measured changes in a subject’s galvanic skin resistance during questioning. In 1939, he patented what is now the prototype of the modern polygraph. In 1947, John E. Reid, a lawyer from Chicago, Illinois, developed the Control Question Technique (CQT), a polygraph technique that incorporated control questions (comparison) which were designed to be emotionally arousing for non-deceptive subjects and less emotionally arousing for deceptive subjects than the relevant questions previously used. The Control Question Technique (CQT) replaced the Relevant / Irrelevant Question Technique (RIT) which used relevant or irrelevant questions during a polygraph examination. The Reid Control Question Technique was a major breakthrough in polygraph methodology. In 1960, Cleve Backster, building upon the Reid Control Question Technique, developed the Backster Zone Comparison Technique (ZCT), a polygraph technique which primarily involved an alteration of the Reid question sequencing. He also introduced a quantification system of chart analysis, making it more objective and scientific than before. This system for the numerical evaluation of the physiological data collected from the polygraph charts has been adopted as standard procedure in the polygraph field today. During the 1980s, research was conducted on computerized polygraph at the University of Utah by Drs. John C. Kircher and David C. Raskin and, in 1988, they developed the Computer Assisted Polygraph System (CAPS), which incorporated the first algorithm to be used for evaluating physiological data collected for diagnostic purposes. In 2003, PolyScore Polygraph Software was developed. PolyScore is a computerized polygraph chart scoring algorithm that uses statistical probability to arrive at truthfulness or deception. It has been shown that validated algorithms have exceeded 98 per cent in their accuracy to quantify, analyze and evaluate the physiological data collected from polygraph examinations administered in real criminal cases. The review committee of The National Academy of Sciences have concluded that, although there may be alternative techniques to polygraph testing, none can outperform the polygraph, nor do any of these yet show promise of supplanting the polygraph in the near future.